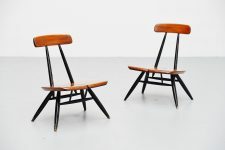 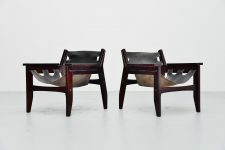 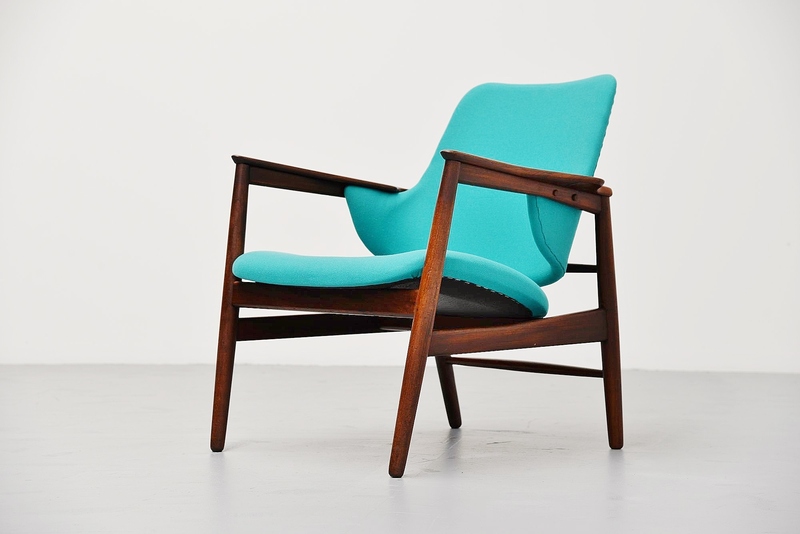 Super rare easy chair designed by Ib Kofod Larsen, manufactured by Christensen & Larsen Cabinetmakers, Denmark 1953. 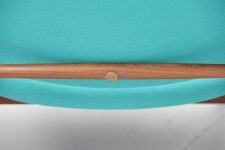 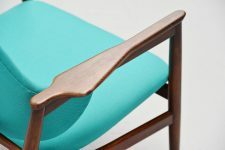 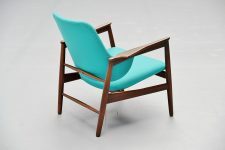 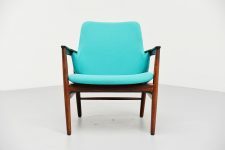 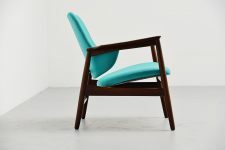 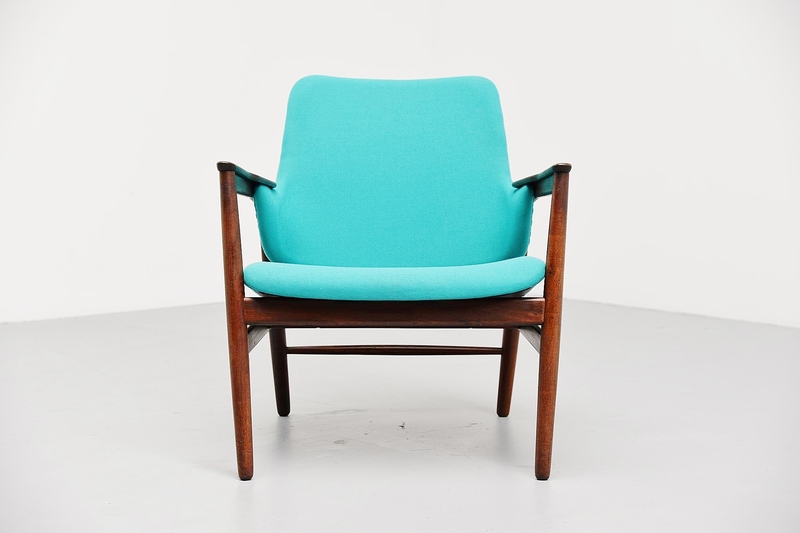 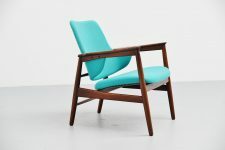 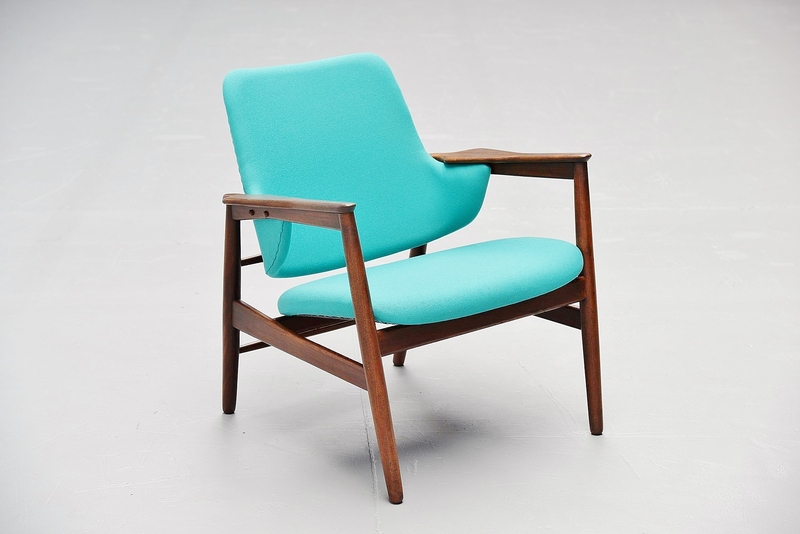 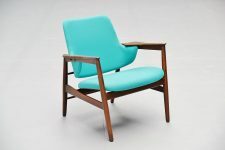 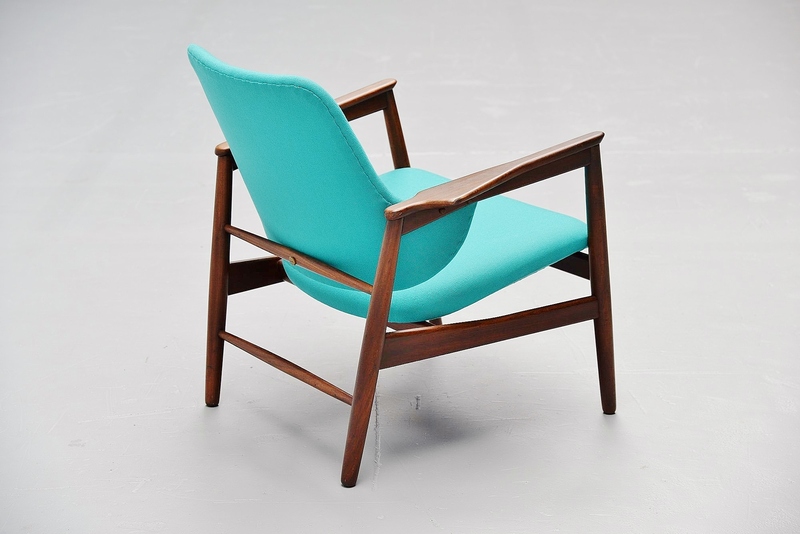 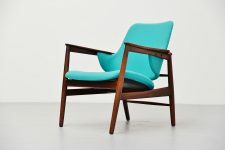 This chair has a solid teak frame and is newly upholstered with turquoise upholstery. 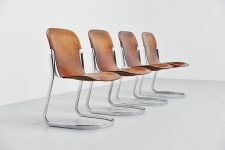 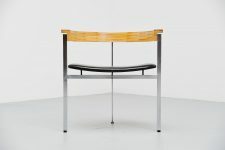 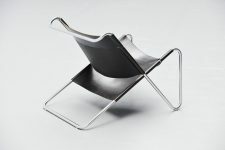 The chair is a real beauty, typical Ib Kofod Larsen lines and forms. 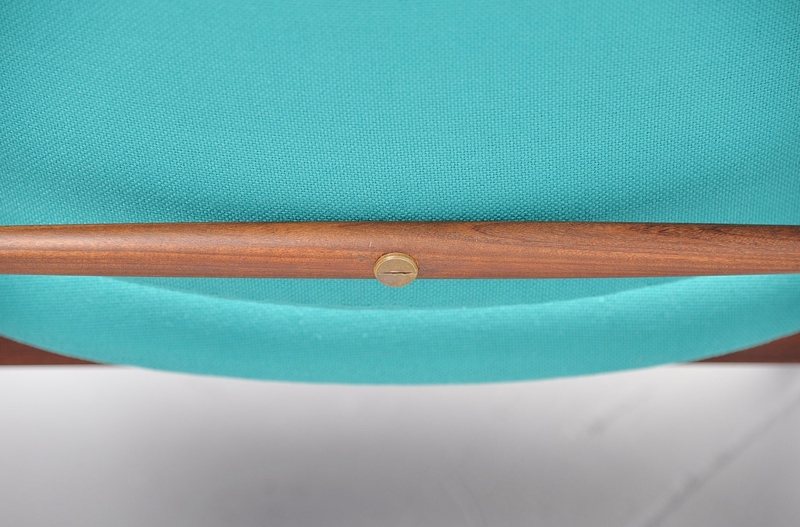 Nice brass detailed bold at the back. 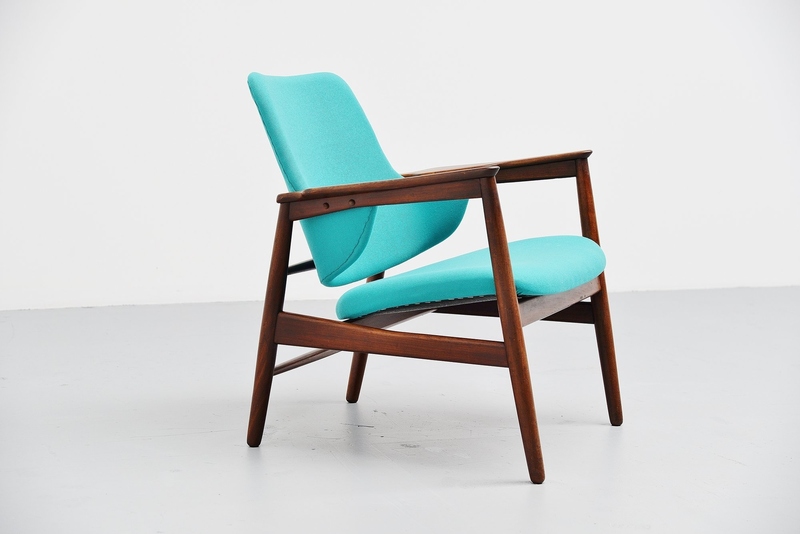 Comfortable lounge chair in excellent condition. 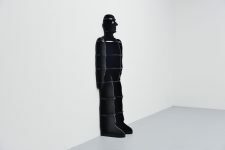 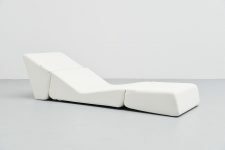 Literature: Grete Jalk [ed. 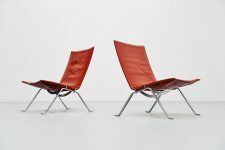 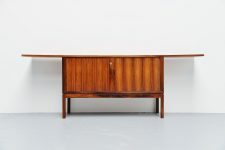 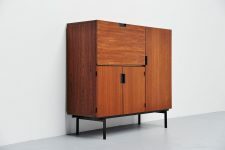 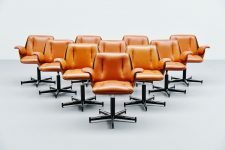 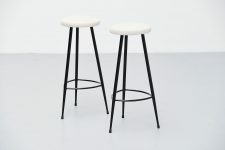 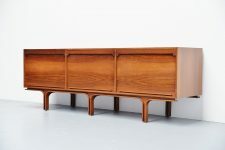 ]: "40 Years of Danish Furniture Design", vol. 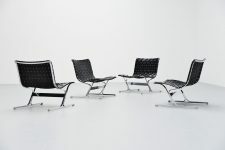 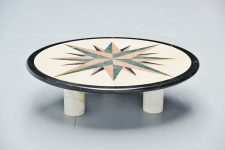 3, p. 208-209.